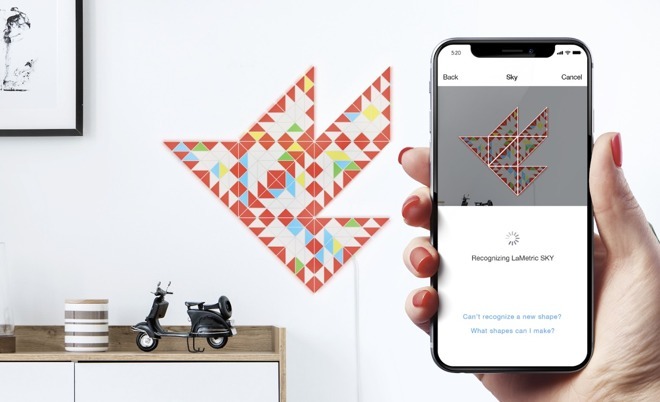 LaMetric has just announced a new smart light -- Sky -- that is similar to those already on the market but able to show a more stylish mosaic pattern as well as display metrics from a variety of different sources. Stained glass inspired Sky, which consists of triangular LED panels with smaller triangle shapes within them. 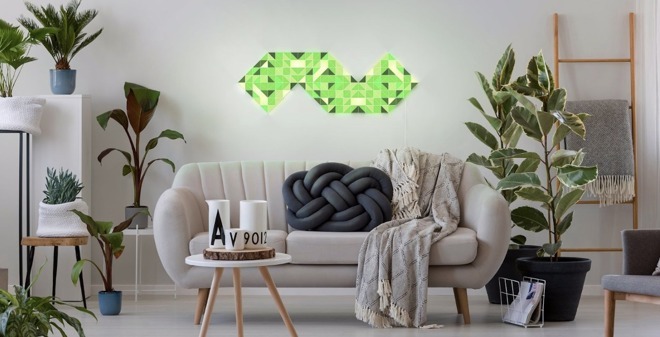 This gives the light much more versatility in what is shown, especially when compared to LifX Tile or Nanoleaf Canvas. Sky can be all one solid color, it can be a mosaic pattern, or it can display different forms of data. The ability to tap into these different data sources is what really sets Sky apart. 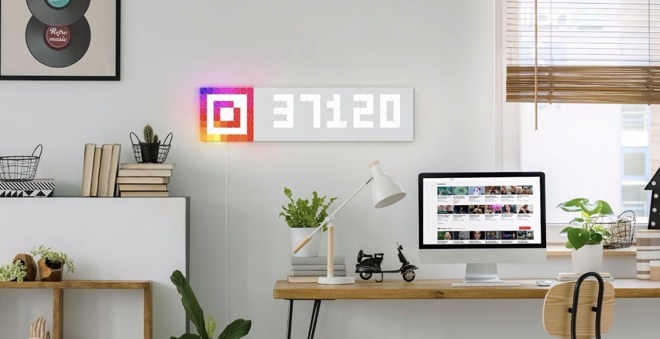 It can display your Instagram followers, website hits, current weather, inbox count, and much more. Businesses and developers can create their own data sources just as they could with the desk-located LaMetric Time. Setup is also easy with the smartphone camera automatically detecting the shape when assembled. At launch, Sky will work with the LaMetric app but HomeKit support is slated to be added via a software update.